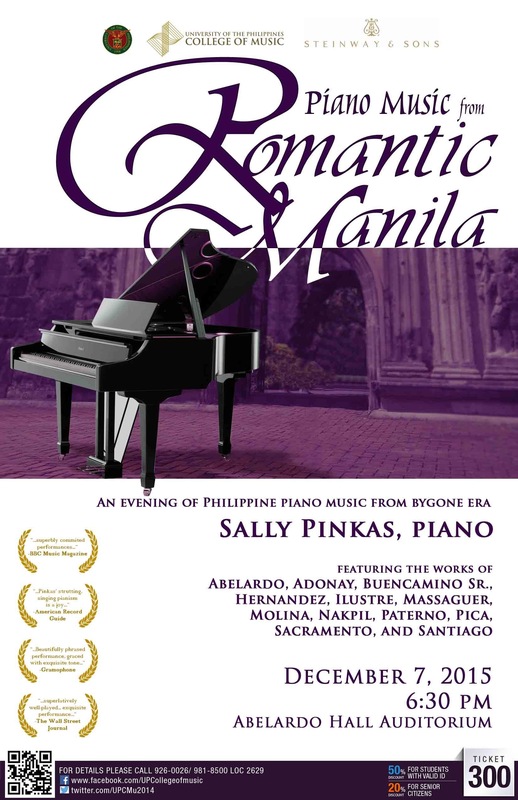 The University of the Philippines College of Music cordially invites the public to the enticing concert Misa Lingua Sama Sama on Thursday, 8 October 2015, 6:30PM at the Abelardo Hall Auditorium. 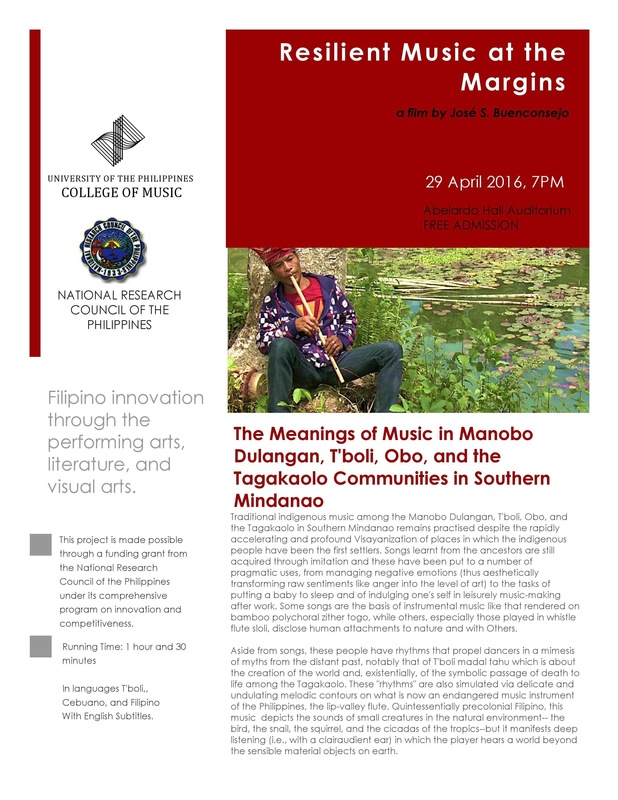 The concert is part of the College’s special series that anticipates the 100 years of UP College of Music in September 2016. Misa Lingua Sama Sama is the newest contemporary art music by composer Prof. Josefino “Chino” Toledo for choir. It sets the different sections of the Mass Ordinary and Proper ( Simula: Omnes Chorus, Kristo Kyrie, Gloriya, Kredo, Santo Sanctus, Pater Namin, KorDei, Humayo Na: Ite Missa Est) plus the Lord’s Prayer and Psalm 104, which will be used as the transition material to the sections. 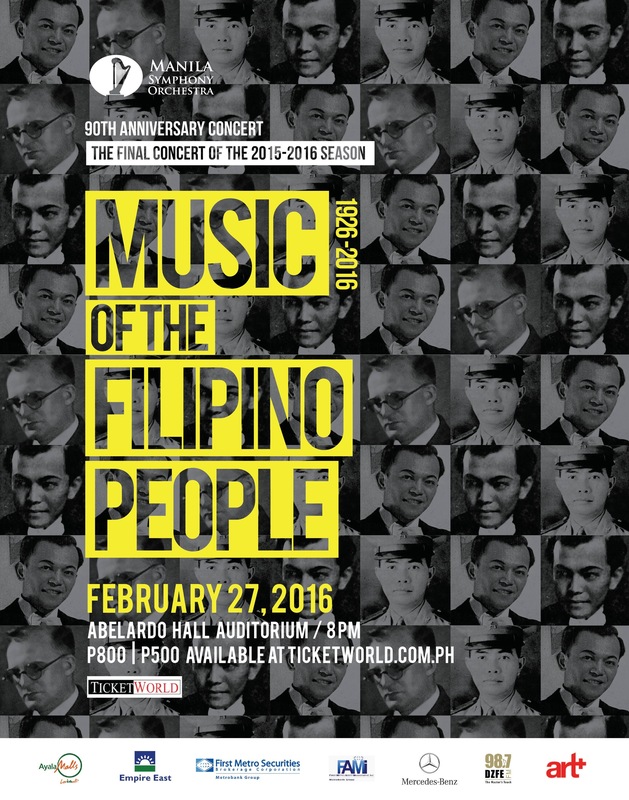 Each section was composed separately from years 2012-2015, specifically for Ateneo Glee Club, Technological Institute of the Philippines Choral Society, St Scholastica’s College Chamber Choir, choirs of University of the Philippines (UP) Los Banos and UP Manila, Aleron Male Choir, and UP’s very own Philippine Madrigal Singers and the College’s contemporary vocal ensemble Auit. These choirs have used Toledo’s pieces as part of their repertories in international competitions in Europe. Composed a capella, sonic interest in the work primarily lies in group vocal techniques and colors, with minimal accompaninent of percussion instruments that singers themselves play. 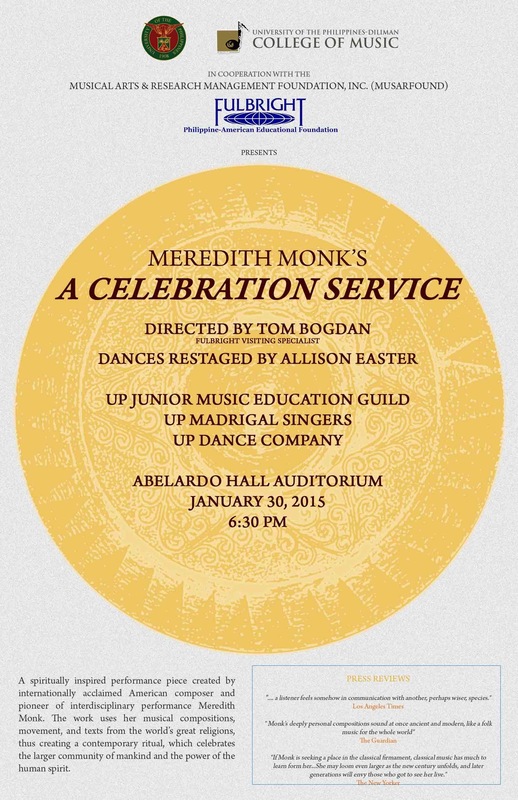 The whole work, to be performed for the first time with a new choreography by the UP Dance Company, is inspired by the trance-like religious practice of “speaking in tongues,” which is characterized by a mixing of languages at extremes–High and Low or Latin and the vernacular–often to the point of the non-intelligibility of both. This is the concept of heteroglossia, which the piece vividly manifests as in the juxtaposition, layering, and segmenting of words, an effect that plays around notions of orthodoxy and heterodoxy. Toledo, however, believes his work is accessible; the whole piece is permeated with chanting and the evocation of ritual and play that are the essences of arts in human cultures. For affordable admission tickets priced at 300 pesos only (discounts for students with valid IDs and Senior Citizens), please call 926.0026 (look for Lolit or Yvette).